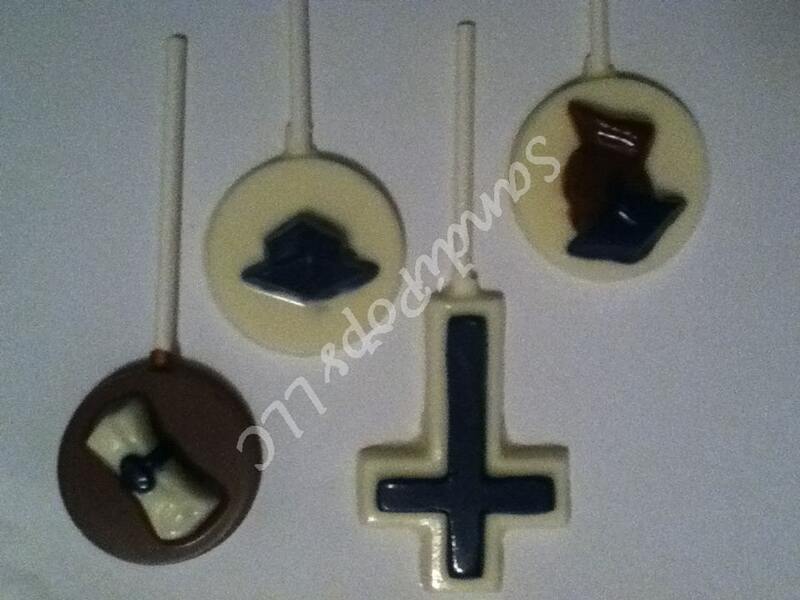 This listing is for 24 lollipops- PLEASE specify quantities of each and the ribbon colors. (otherwise you will get 8 of the 3 designs.) 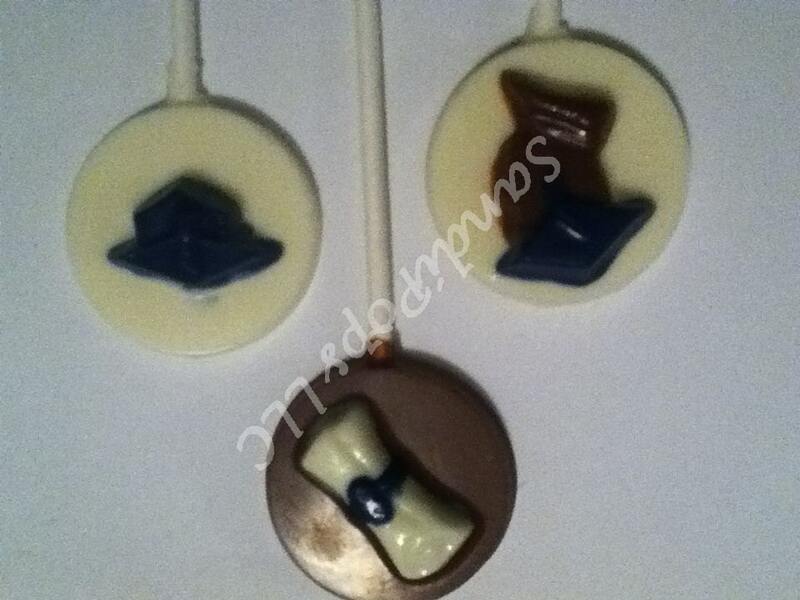 Each lollipop is individually wrapped in a bag and tied with a curled ribbon. 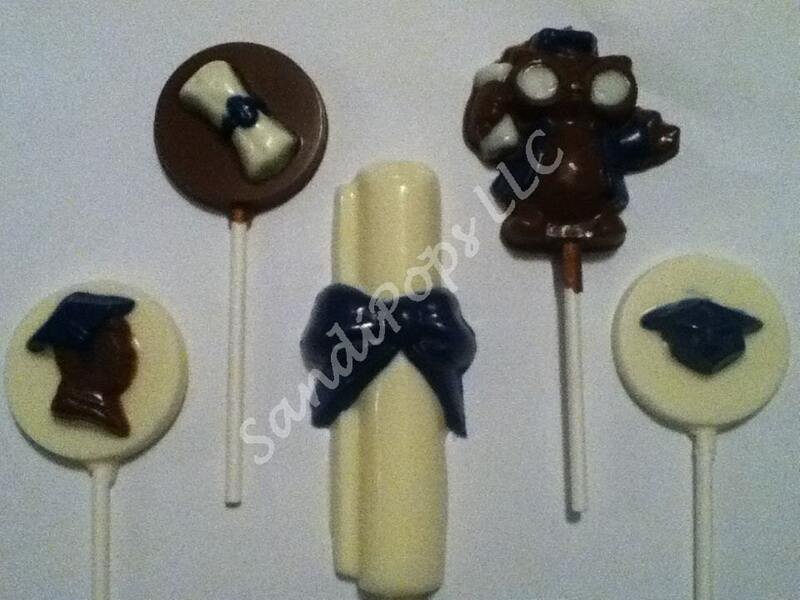 can certainly make any number of pops you need and any colors you want, convo me for pricing.